We're not going to lie... It has been difficult! But here are the 10 watches that stole the show at SIHH 2019. Now that the SIHH 2019 is over, it is time to sit down and take a closer look at the dozens of watches that were introduced. 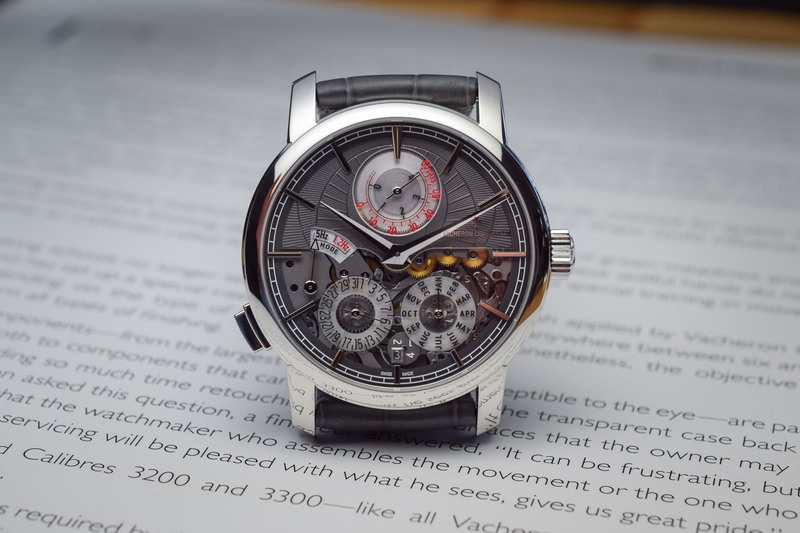 Overall, it has been a good year in terms of novelties – probably not the best edition ever, but still, there were some pretty interesting things to see, especially in the field of complications. This also means that the “entry-level” or “affordable” categories have been slightly forgotten by some brands. 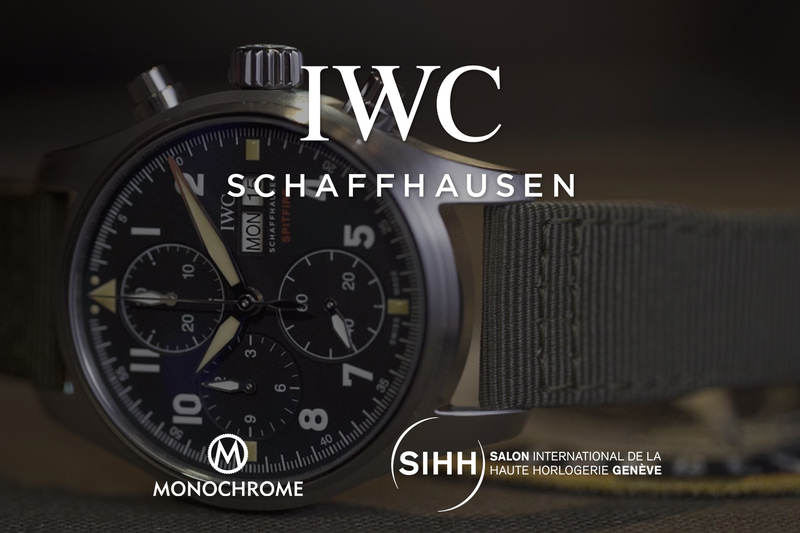 After all, SIHH means Salon International de la Haute Horlogerie. 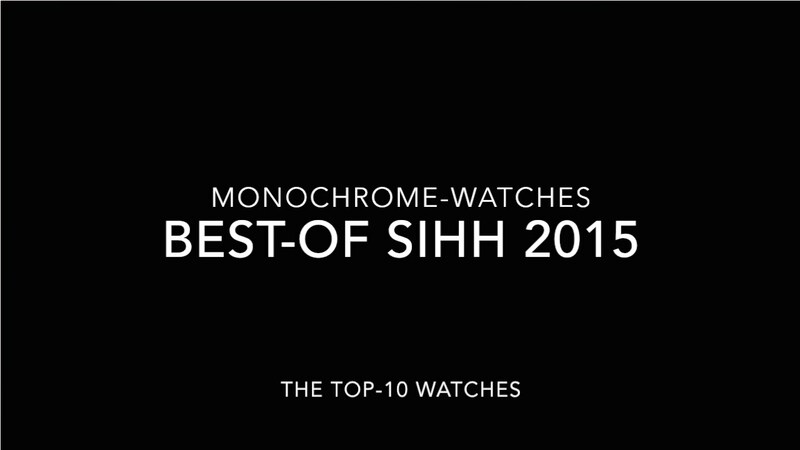 Thus, you won’t be surprised to see that our selection of the 10 best watches of the show is focused on “high-end” models. Note: this selection is based on a consensus among the MONOCHROME team. It reflects our preferences. If you have a different view on what could be the best watches of the SIHH 2019, feel free to share them in the comment section at the end of this article. Why? Simply because it is much cleverer than just a date added to the Zeitwerk. One could think it is a simple indication of the current date, but in fact, due to the complex display of the Zeitwerk, it required ingenuity and mechanical expertise. The date had to be positioned around the dial, around all the discs that are used to display the time. Thus, the date is shown on a peripheral sapphire disc with the current date highlighted in red. The magic appears at midnight when all the indications jump simultaneously and instantaneously. Other improvements are to be noted: a pusher to advance the hours (simply because the display is now on 24h and would require way too many turns of the crown) and a new movement with doubled power reserve. The style remains pure Zeitwerk, and that’s just great. More details here. Why? 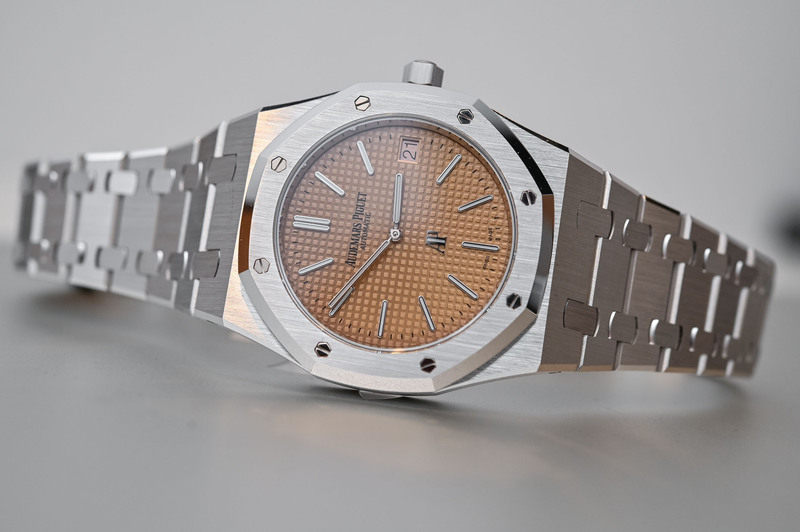 Because it is a Jumbo RO with a salmon dial… That was enough to have the collecting community jumping up and down. But (there had to be a but), there are a few things to note. As beautiful as this Royal Oak “Jumbo” Extra-Thin salmon dial 15202BC is, it will remain a dream for many. First, it is made of white gold and not stainless steel – meaning that it is both rather heavy and fairly expensive. Then, Audemars Piguet, already quite reluctant to produce large quantities of the Jumbo (whatever the material), has decided to produce only 75 pieces of this watch (at least for 2019, as it isn’t a limited edition anymore but a boutique exclusive). But in all fairness, what a superb edition of an already superb watch. Why? Because it is both elegant, original and complex. 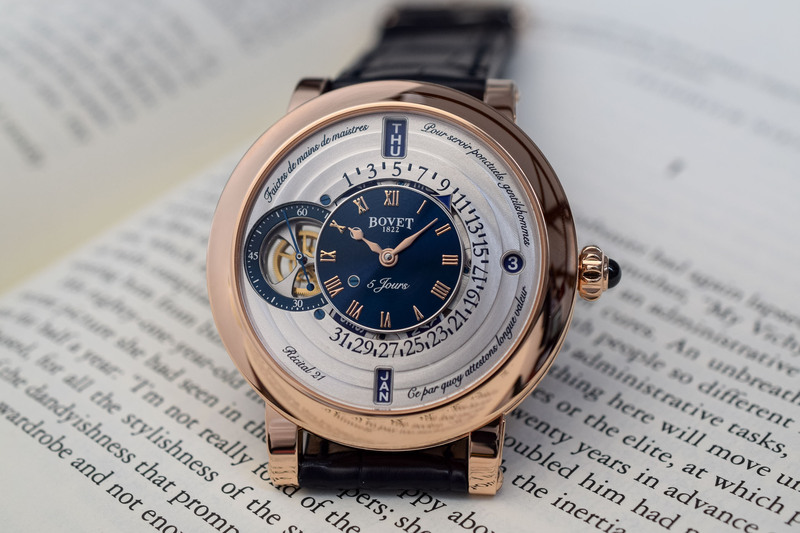 In short, it sums up everything Bovet is about. 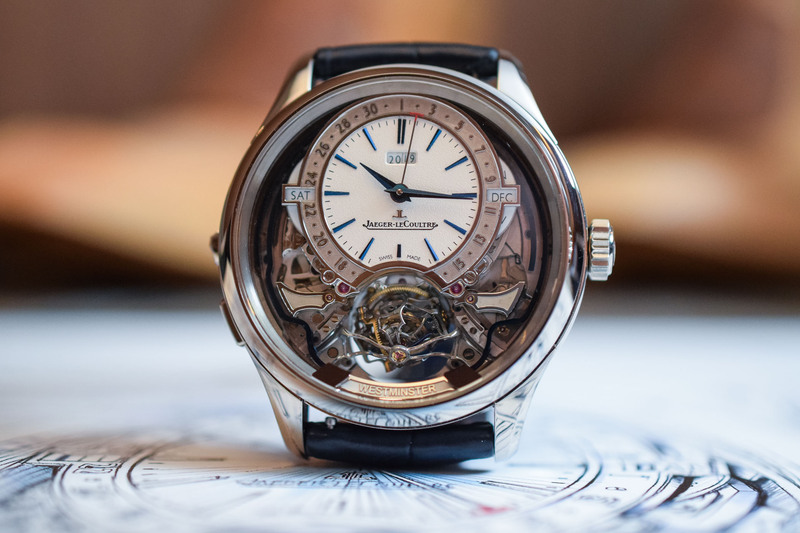 Certainly less showy than the Grand Recital 22 that won the GPHG 2018, this new Récital 21 is nevertheless fascinating. Design-wise, the classical codes of Bovet are used in a more subtle way. Mechanically-speaking, we have an in-house movement with a 5-day power reserve and a perpetual calendar, displayed with jumping discs (day, month, year) and a retrograde date cleverly integrated around the hours/minutes sub-dial. A truly elegant piece with a unique style. Why? Because it was totally unexpected, complex, yet pure Hermès and very beautiful. Hermès has a thing for original displays but this L’Heure De La Lune pushes the concept much further. For this watch, a patented module had been created with two sub-dials acting like satellites, displaying the time and the date. While rotating, these sub-dials also partially hide the moons depicted on the lower (fixed) part of the dial, thus indicating the age of the Moon. And of course, the two sub-dials remain straight whatever their position on the dial. 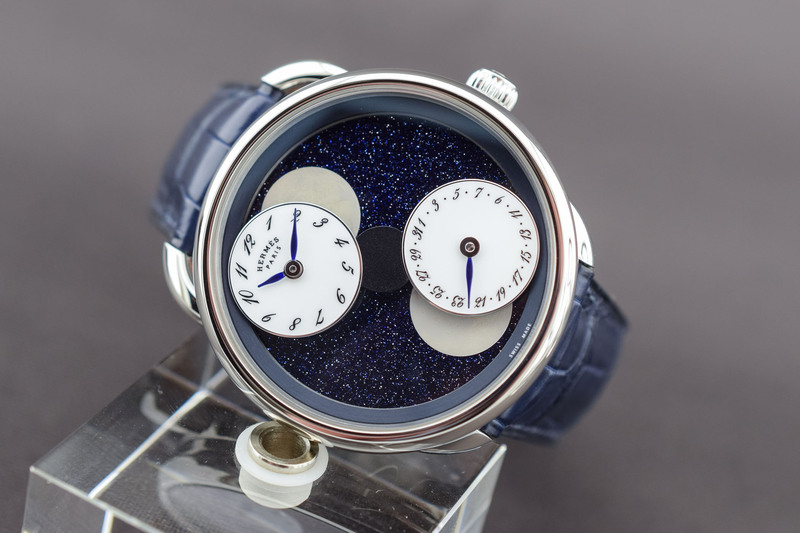 The Hermès Arceau L’Heure De La Lune is available in two space-inspired versions: aventurine and meteorite. A very poetical take on the moon phase complication. Why? Because it is both innovative and conservative. Innovative because of the use of a brand new material, Ceratanium, which combines the shock-resistance and lightness of titanium with the properties of black ceramic, meaning a scratch-resistant surface and a black colour that won’t fade. It is conservative, in a pleasant way. 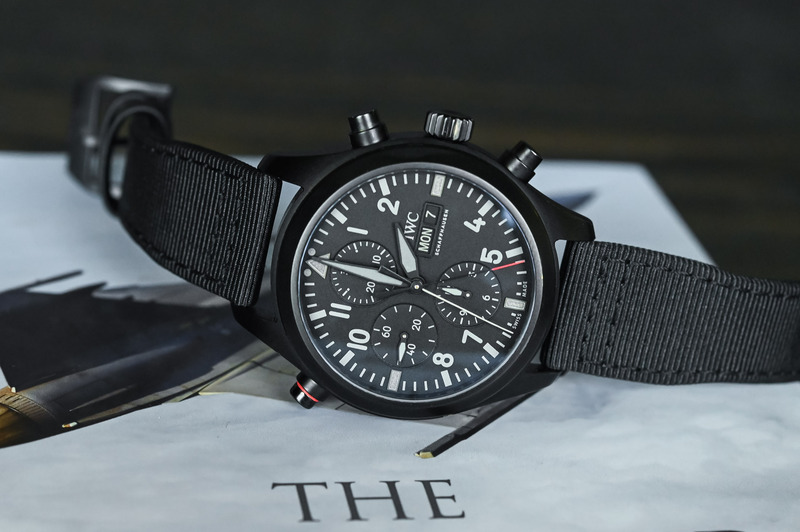 With the combination of its toolish aspect, its focus on resistance and legibility, the cool Double-Chronograph (split-seconds) complication, it heralds a return to real instrument watches at IWC. The worthy heir to the ref. 3711 and 3705, in a modernized but faithful version. More details here. Why? Because it’s probably the most complex watch unveiled at the SIHH 2019. 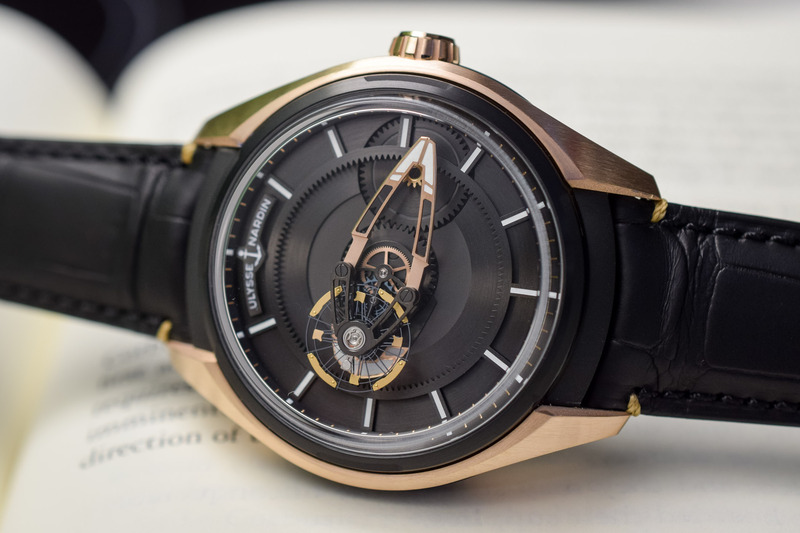 The Jaeger-LeCoultre Master Grande Tradition Gyrotourbillon Westminster Perpetual (sorry for the name) features a Gyrotourbillon (the brand’s name for a multi-axis tourbillon), a constant-force remontoir d’égalité, a Westminster minute repeater with trebuchet hammers and square cross-section, blued gongs attached to the sapphire and a perpetual calendar with a jumping date. And not only is it ultra-complex, but it is also superbly executed/decorated and overall, reasonably dimensioned. The back reveals an astonishing level of detail. Two versions are available, one with a silver-grained dial and one with an enamelled blue dial (both limited to 18 pieces). As you can expect, this doesn’t come cheap. Why? Because it is a brand new design for Laurent Ferrier, which is still vintage but with a much bolder take on the brand’s codes. 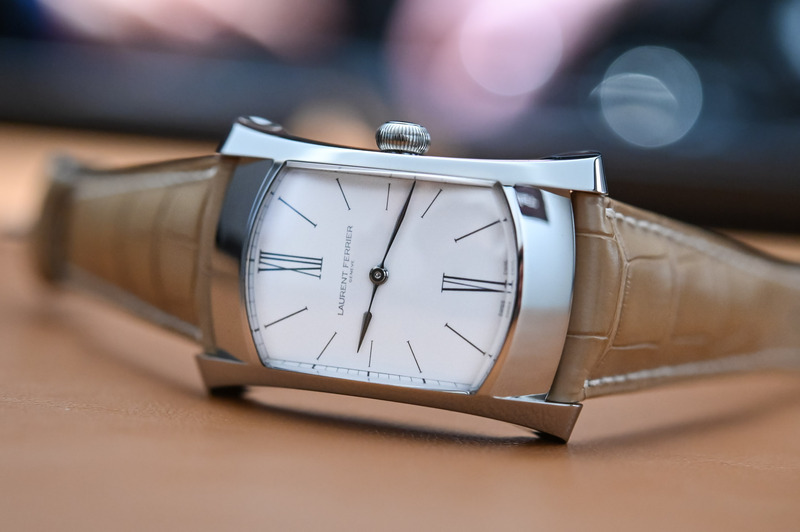 The Laurent Ferrier Bridge One is all about mastering shapes and features a rectangular case that isn’t that rectangular and a combination of countless concave and convex surfaces. More angular, more daring than the previous creations but still refined and understated. Underneath the domed crystal and the white enamel dial is a shaped movement, based on the same architecture as the Annual Calendar, yet entirely redesigned to match the case’s shape. And on the wrist… Well, it is quite an experience (we’ll come back to this model soon). Why? Because we usually ban everything that has a battery or chips on MONOCHROME… Except for this watch. 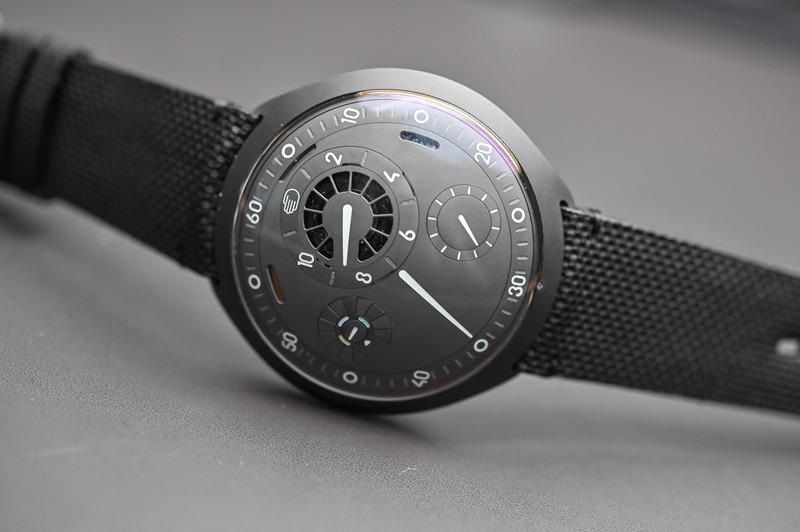 The Ressence Type 2 e-Crown, which was presented in its final version at SIHH 2019, might have some electronics inside and phone connectivity but these are not interfering in the motion of the display module, which is still driven by a mechanical, automatic movement. The beauty of Type 2 is that it uses electronics to make a mechanical watch cleverer, by replacing the crown and making sure your watch is always on time, at the right time. Ressence replaces the crown’s function with an automated set-up system. It automatically sets and adjusts your mechanical watch to the right time, rendering the crown obsolete. And when the watch is in sleep mode, the barrel is stopped, meaning that when the watch is “woken up” after weeks, it still has power, it works immediately and automatically readjusts to the right time… Impressive. Why? Because the emblematic Freak display has never been so affordable (relatively speaking). Born in 2001, the Freak became a laboratory for UN and became the first watch to be commercialized with silicon parts. Its display consists of a baguette-shaped flying carrousel that indicates the minutes and a disc underneath for the hours. This year, UN attaches the signature carrousel on a more standard automatic movement, adjusted by a crown (and not via the caseback), allowing for most of the Freak coolness at half the price of the previous editions. And best of all, it is also one of the best looking Freak watches ever created. And that balance wheel… How cool is that balance wheel! Why? Because it is hyper-clever, innovative and solves one of the main issues of a perpetual calendar in a mechanically impressive way. 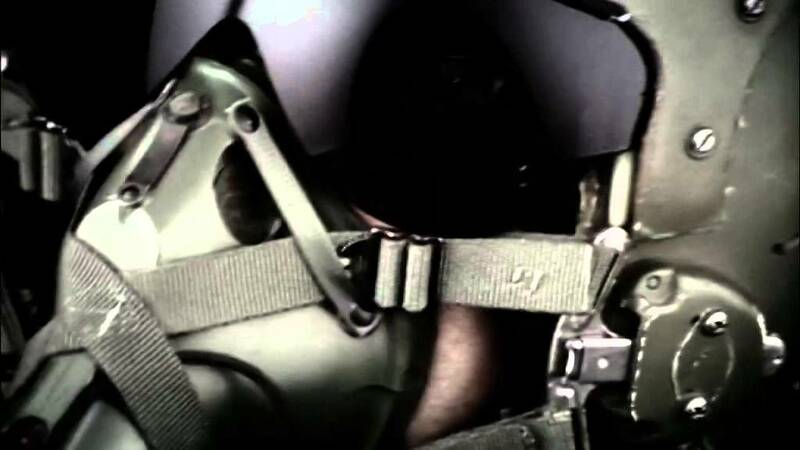 The main problem with a QP is setting the watch. A perpetual calendar should be perpetual, not only for its indication but also for its timekeeping part. However, a mechanical watch has a limited power reserve and will, irremediably, stop. The solution found by Vacheron and its Twin-Beat Perpetual Calendar is to have two regulating organs and two working modes. When worn, the watch runs on a 5Hz frequency with 4 days of power reserve. When stored, press the button at 8 and engage the “Standby Mode” which switches the regulating organ and runs on a 1.2Hz frequency, allowing for a staggering 65-day power reserve – enough to keep the calendar up to date. And if that was not enough, the execution is modern, high-end, reasonably sized and visually superb. Well, for me, the biggest disappointment was the Freak X, an ordinary watch with a slightly Freak-like display. Nice price (for A Freak), dreadful failure (for a Freak). 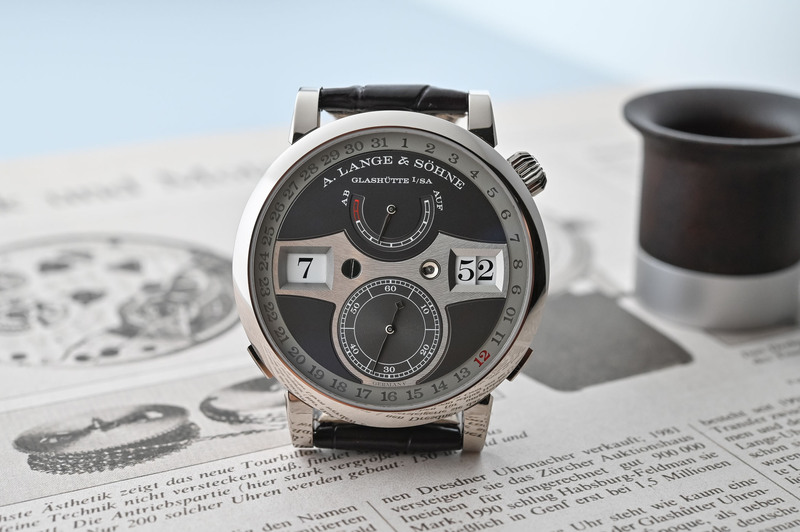 Biggest pleasant surprise:- the Arceau l’Heure de la Lune – clever, original and not outlandishly expensive, though I would much prefer a plain black or dark blue background; the meteorite and aventurine, while fun for a quick look, would (for me at least) quickly pall and start to feel gimmicky: here’s hoping for a plainer (and cheaper perhaps?) version! 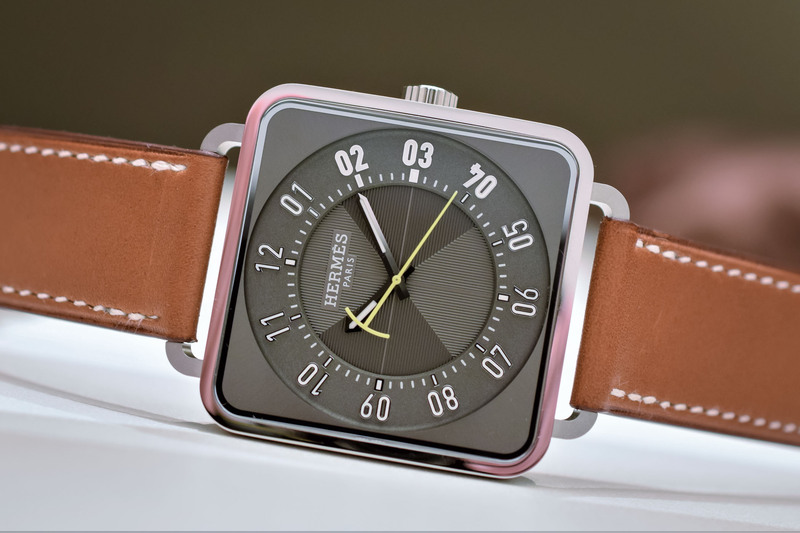 Hermes is no doubt my favorite, even I’ve never liked automatic movements and moonphases. Does anyone know if ALS will be stopping production of the current Zeitwerk? The AP code 1159 sonnerie was number one for me. 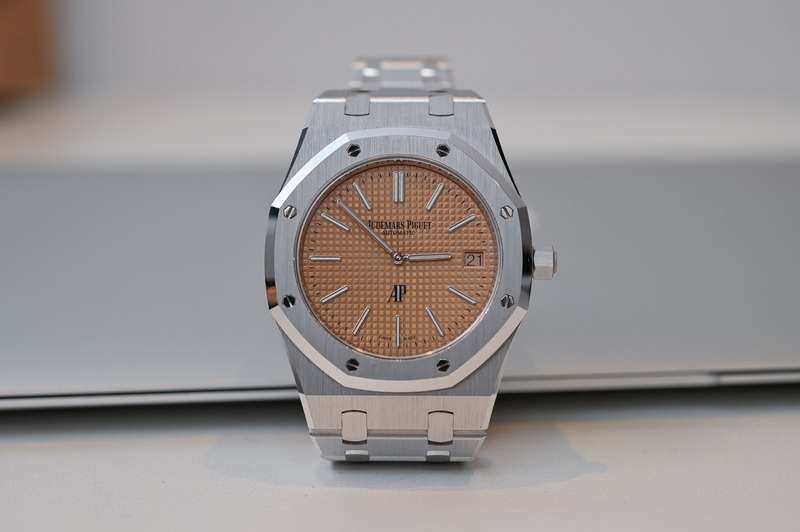 I love the look of that AP, but with zero micro-adjustment on the bracelet, it is pointless. The Lange is of course very desirable, as is the Laurent Ferrier. But is it just me or does the JLC look cheap? Those titchy white date wheels that look like they come straight from an ETA parts catalogue. And I cannot believe that those double-tick 12 hours markers are so unstraight. Put simply, it is a mess which further cheapens the already tarnishing JLC name. The VC is….not for me. A Salmon dial on the Jumbo, come on is this the ’emperor’s new clothes?” That is a pitiful way to take large money from 99 suckers..